One of my main motivations to live in Germany was to learn the language. I liked the challenge of being able to speak a third language that was completely foreign to my tongue or even the region I grew up in. Whilst traveling in Europe the first time, I was fascinated by how German sounded. Not to mention knowing this language in Europe is probably the most beneficial after English, especially when you aim to have a corporate career. If some one told me, I’d learn how to speak German in 1 year, I would have never believed them. I have to say the first few months it was hard to move my tongue in ways I could not fathom or understand how and why. I still struggle to get the “R” right and will perhaps need all my life to master it. 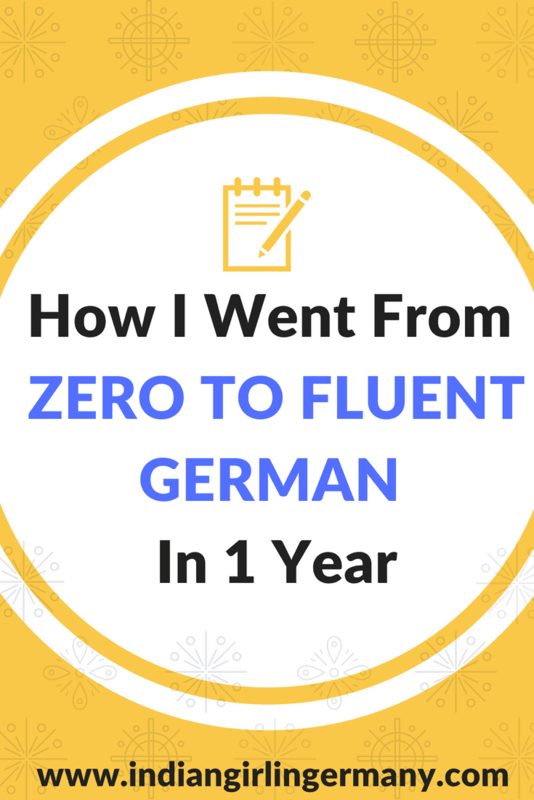 Learning a completely foreign language in your mid 20’s is not necessarily the easiest feat to achieve, given you have so many other life-changing decisions to make. For me, it was managing a Master degree (in English), a part-time job (in English) and then using whatever little time I had to work on my German. I have to say the thing that helped me the most was the fact that I am bilingual in English and Hindi since a very young age. For that, I am very grateful to the education system in India. It comes much easier to me to switch in a third language compared to people who already struggle to speak a second language or were mono-lingual all their life. Not to say, there are not exceptions as many polyglots would tell you otherwise, but I just state what’s so far been obvious to me. I have also been exposed to other North Indian languages through music or movies making it easy for me to understand Punjabi, Nepali or Kumaoni even if I cannot speak them fluently. I have met many foreigners that simply want to learn the language as ‘means to an end’. Most common excuses are for ‘better jobs’, ‘better education opportunities’ etc. Whilst these are certainly not bad reasons to be learning German, you have to find some kind of ‘hook’ that excites you about the language more than just the functional value of it. The same way getting a degree just to find a job is not necessarily the right motivation to get that degree in the first place. In my case, what helps me a lot is that I like to talk to locals and colleagues in their own mother-tongue, helping me get enriching insights into the German culture. I believe that if you plan to stay in Germany, longer than a year and cannot go beyond Guten Tag/Hallo/Tschüss, then you’re setting yourself up for a somewhat lonely future. Don’t be lazy and find a real and personal motivation why you want to learn this language. The more fun it is, the better. A lot of generic language learning techniques float around on the internet. However, at the end of the day, you are you, and I am me. I might not have the same advantages or strengths that you have and vice versa. Once you’re done brushing up on basics at lets say the beginner level, find a system that works for you. As long as it doesn’t involve you ending up in jail, I fully support it. I realized early on that I do not cherish going through endless German grammar books. It brings back my haunted memories from middle school when I had to learn how to form sentences in Sanskrit which followed no logic or structure and I simply had to memorize everything for exams. At the end of three years of pretending to learn and achieving excellent grades on paper, I find it difficult to say even one sentence in that language, besides a few popular mantras that every Indian kid grows up hearing. My point is, I hate grammar. Especially when it involves learning 46 adjective endings for no good reason. On the other hand, I love talking. Hence, I focus the majority of my time on speaking German. I pick up words, meanings and even phrases much faster when I hear them in a conversation than I do from a grammar or vocabulary book. Some days, I don’t even remember how I know a German word, I just do. That’s the edge you need to find for yourself to get a faster grip on the language. Maybe you love to read? Watch movies? Write poems? Whatever floats your boat, or in this case gets you to a better stage in your life with the lovely German language. We’re living in the internet age whether we like it or not. Learning from books while very enjoyable can often be out-dated and not as fun as lets say watching a family raise six cute kids in Texas all the while learning German. I have to admit, in the beginning it was very hard to follow German video blogs with no subtitles, but I trained my ear first by making full use of my Amazon Prime free student membership and watching my favorite programs in German with German subtitles. I cannot stress enough how important this point is to really grow into learning a new language. You can sit all day in your room learning 1500 German words a month and watching every video in German that ever existed. It is not going to be any good if you don’t practice speaking with natives. You can also speak with non-native speakers, however in the beginning natives will be able to correct your pronunciation or understanding much easier than a non-native for example. Not to forget, culturally appropriate talk. If I said ‘Moin Moin’ to a person in Bayern (where I’m living), I’d probably get a weird/confused look back. It is so much more acceptable to wish people here with a ‘Servus’ or ‘Gruß Gott’ in the case of older people. I cannot know these small tips or hints by practicing my German alone everyday in-front of a mirror. You could also explore an online teacher if you find it hard to find a language partner or don’t work in a German-speaking environment. If you happen to have a good German friend, I bet they will be glad to talk to you once a week or so in exchange for a coffee or cake. You get to catch up, have a break and improve your language. What else could one want? A lot of my advice pertains to people who actually live in Germany or another German-speaking region. 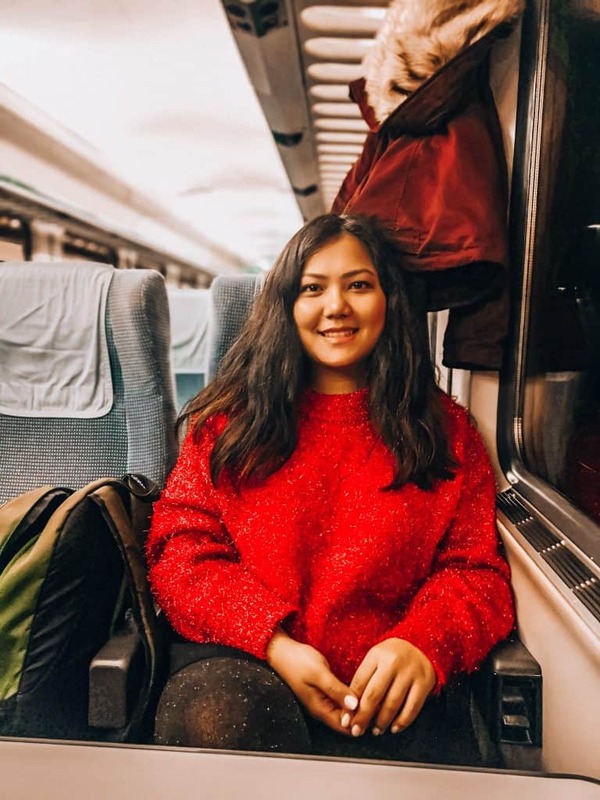 If you are a language enthusiast elsewhere in the world and are serious about progressing your skills, consider an internship/volunteering/exchange opportunity in a German speaking region. Not only would this give you the chance to explore a whole new culture and country, but it would be tremendously good for your language improvement. In my own experience, some times I feel like I live in an English speaking cocoon, but as soon as I step out, I am forced to switch. This helps you stay in touch with the language and continuously work on improving yourself. Ich hoffe, das ich hilfreich war. Viel spaß beim lernen. Bis zum nächsten mal!